I was so surprised during my visit to Istanbul to fall head first into a shop that featured one of the biggest up-and-coming trends in floor rugs - the over-dyed vintage carpet! 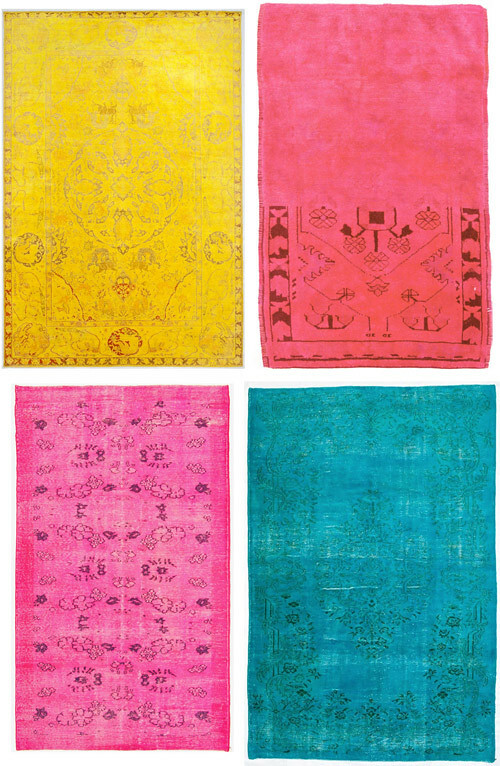 While shopping for a rug at Dhoku (and bought a huge collage/patchwork vintage rug that has been over-dyed in beige with spots of bright pink), I got to speak to a man who was very knowledgeable about rugs and he started to tell me about some of his clients and the stores that he was selling to and my ears perked up because I immediately felt a trend coming on! 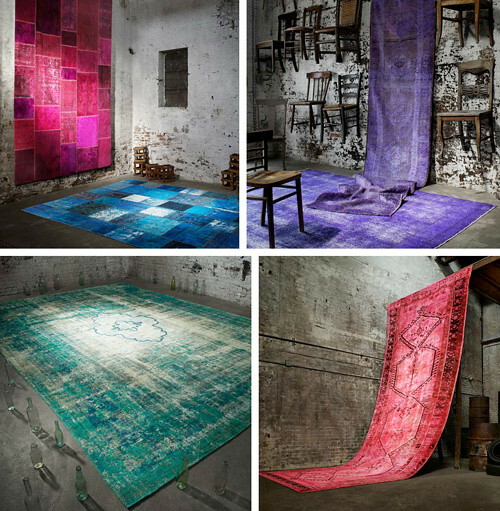 About the collection, each vintage rug was put through a process to neutralize the original colors while still retaining the essence of its design and then each rug was over-dyed to create a solid color with dimension. "The Color Reform Collection by ABC Carpet began as a vision to salvage imperfect, vintage carpets and resulted in a revolutionary movement of color. Inconsistencies are the nature of this product and make each piece unique. 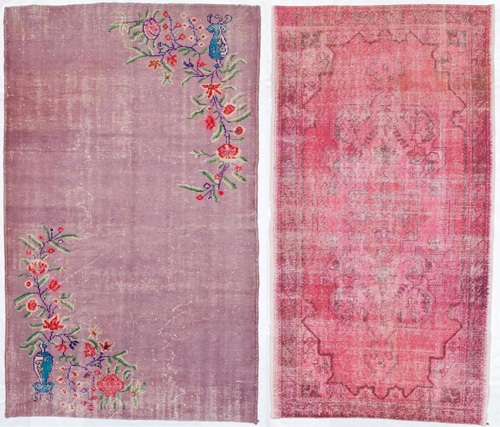 A carpet once traditional is now a contemporary work of art." What do you think of these carpets? I LOVE them.